Made from 100% Arabica beans and featuring smooth notes of hazelnut, praline, and cinnamon, our Northwest Blend coffee is satisfying sip after sip. 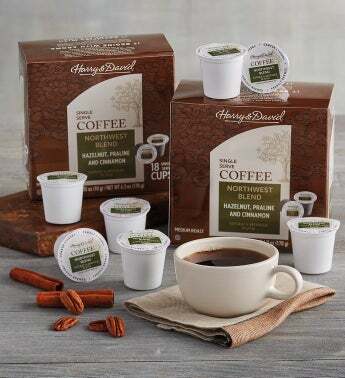 Two packages arrive with 18 single-serve cups each, making it easy for you to brew a delicious cup of premium, gourmet coffee at your convenience right in the comfort of your own home. Start each morning off deliciously or perk up any time of day with this exceptional flavor.